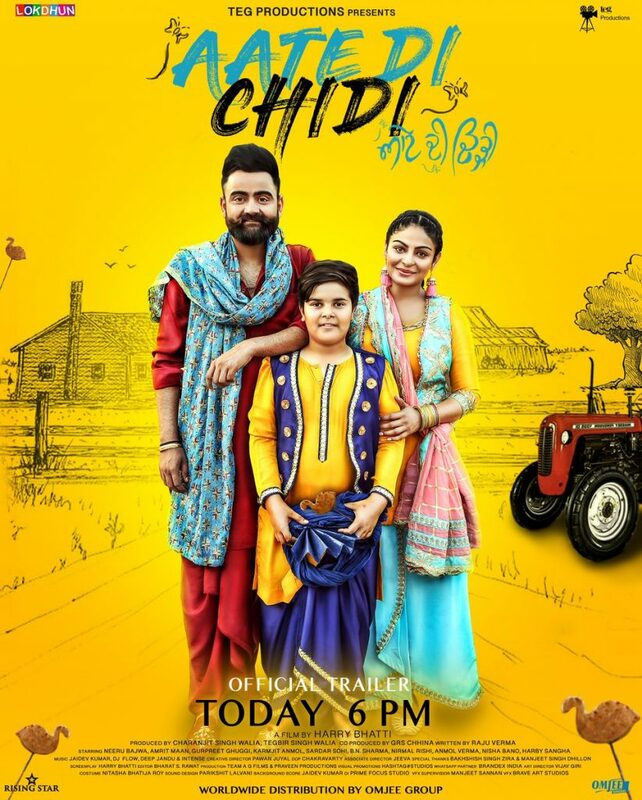 Check out for Aate Di Chidi 2018 Punjabi Movie Stills Images Wiki details. The trailer of the movie got released on 21st September 2018 under Lokdhun Punjabi label. The trailer of the movie is released by cast and crew of the movie. The movie is scheduled to release on 19th October 2018 worldwide in theaters. The trailer of the movie has been shared by cast and critics on social networking site. Aate Di Chidi 2018 upcoming Punjabi movie is directed by Harry Bhatti. The movie is produced by Charanjit Singh Walia and Tegbir Singh Walia with co-produced by GRS Chhina under Omjee Group production banner. The story of the movie is penned by Raju Verma. The screenplay narration of the movie is narrated by Harry Bhatti himself. The upcoming movie is starring Neeru Bajwa, Amrit Maan, Gurpreet Ghuggi, Karamjit Anmol, Sardar Sohi, B.N. Sharma and Nirmal Rishi in lead roles. Along with the lead of the movie, Harby Sangha Preeto Sawhney, Nisha Bano, Anmol Verma, Raghveer Boli, Jatinder Suri, and Manjit Singh. The music of the movie is composed by Jaidev Kumar, Deep Jandu, DJ Flow, Intense, The Boss and Rajinder Singh. The background score of the movie is given by Jaidev Kumar. The principal photography of the movie is handled by Chakravarty and editing work is done by Bharat S Raawat.